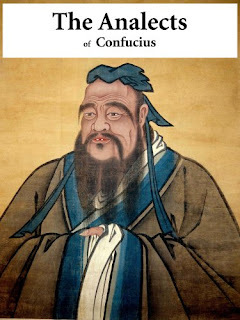 The Analects of Confucius is a collection of quotations from Confucius and his disciples, from the course of Confucius' life in ancient China from 551BC and 479BC. The name 'Confucius' is actually a Latin translation from K'ung Ch'iu, later named K'ung Fu-tzu (K'ung the Master). Confucious was a book-keeper in early life and later a philosopher and politician. As a politician of the State of Lu, he served as a Justice Minister under the Duke of Lu. The neighbouring state of Qi thought Lu was becoming too powerful (some think this is evidence that Confucius' principles were working), so they sent 100 good horses and 80 beautiful dancing girls to the Duke of Lu. Here is where it gets hazy for me. After reading the introduction of my translation (translator: Lionel Giles), my impression was that the dancing girls caused Confucius to lose himself to indiscretion, though Wikipedia states that this was only prevalent with the Duke of Lu. One account states that Confucius left from shame and another states he left because of the indiscretions of the Duke. Perhaps I missed something here, so will be interesting to see what the book club thinks. Confucius beliefs were deeply rooted in the social good (concept of virtue), referred to as 'jen'. He tried to live his life by a code and impart this code on all who wished to learn, and during his wandering years after leaving the government in Lu, are where most of the sayings from this book arise from. The thing that interests me about ancient Chinese texts (the only other I have read is 'The Art of War' by Sun Tzu), is that the language is very structured and almost comes across as mathematical. Despite this, it generally has a fluidity to it, though I must assume that much of this is lost in translation. The translator I read, Lionel Giles, seemed very upset with a prior translation by James Legge, a devout Christian whom he believed committed a disservice to Confucius by translating based on his own Christian bias. The notes in my translation are very negative towards Legge's translation - often freely criticizing the work for giving Westerners an incorrect opinion of Confucius and doing irreparable harm to his legacy. When reading this work, I find it's more important to try to absorb as much of the quotes as possible and string them together like a popcorn garland on a Christmas tree. You start to understand themes which translate into central views of Confucius. Off the top of my head, he was very focused in leading a virtuous life - with the only way of doing so by self improvement and intrinsic focus. By strengthening personal virtues, you would be able to help your fellow man if you lead a lifestyle congruent to your beliefs. Many of the passages in this work talk about other figures in ancient Chinese society and discuss their characteristics and the way they handle things. 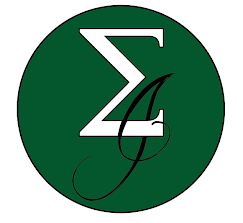 If Confucius did not know a figure well, he would state that he could not tell if someone was virtuous or not based on a select sample of events. However, those that he loved and those that he hated, were angelicized or demonized according to Confucius' thoughts towards them (based on their personal actions). Since there are many references, it becomes difficult to follow them with any sense of continuity - though strong translations have explanations in the footnotes in regards to the person being alluded to and the history of the situation being mentioned. Confucius could also be very sarcastic. I remember one person telling him he would never be famous, and he responded by saying that he would take up 'charioteering' to elicit fame. It was enjoyable to me to see this side of Confucius, and I hope the other translations out there were able to pronounce this quality and do it justice. Confucius hated ceremony for ceremony's sake. He thought it was wasteful to perform certain funeral rights for the dead, because resources would be better utilized on the living. He seemed content to either adhere or go against the norms, based on his own personal viewpoints on what he considered logical. He was a strong believer in a three year mourning period for filial relations, probably stemming from his own mourning period following the death of his mother at age 23. The other thing that struck me as a key message was the importance, while acknowledging the difficulty, of practicing what you preach. This theme is intertwined with the concept of virtue and self-improvement and was central to the teachings of Confucius. The Analects of Confucius is one of those works that should be read slowly, so passages can be digested properly. I found that if I tried to read more than 20 pages during a sit down, I would do the book a disservice. It was tough to get through the work quickly, and I found myself re-reading many passages to dissect their meaning. In some cases, even the translator was unsure of what Confucius was saying and in a few cases, some quotations were thought not to be attributed to either Confucius or his disciples. All in all, I was glad to read this book - though in truth, I have been very afraid of this review. The book's sayings were loosely tied together in chapters, but truth be told, had very little flow. This is indicative in my notes above as well, I think... but such is the reality given the way these quotations were probably recorded throughout history. I'm glad they made it in some form, and am thankful for what I felt was a solid translation by Giles. "Thought is the foundation of intelligence." Sounds very interesting. There are so many different and sometimes conflicting perceptions about Confucius, probably because his philosophies are not as accessible to the western world as maybe a Machiavelli? I enjoyed your take on the book, I'll add this one to my TBR.